Details The Man with no name soon became one of the most well known men around the globe. Minimalist score by Ennio Morricone and direction by Sergio Leone. A true gem. 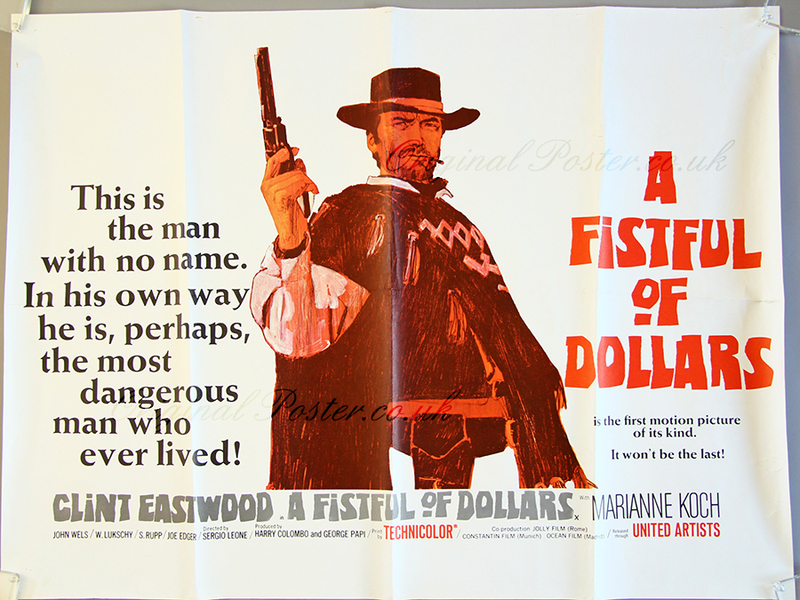 This is an 'X' certificate film poster from the first release of this Clint Eastwood/ Sergio Leone Classic from the year 1964. This film poster came from the Ritz cinema of Rushden. Please note that this poster has a photo that shows up shading from the angle of the light that is not present on the poster!